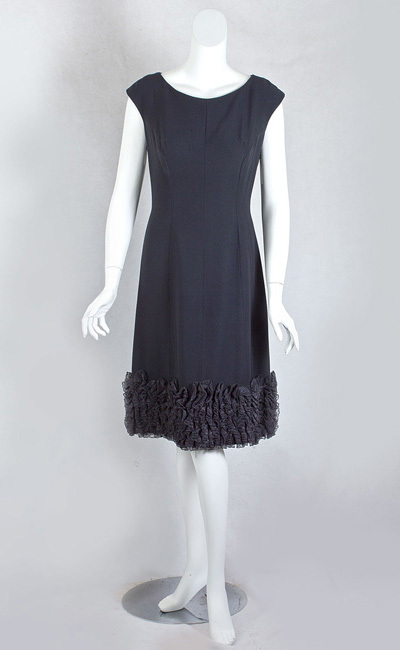 Made from midnight navy rayon crepe, the stylish dress fits right in with the LBD style. 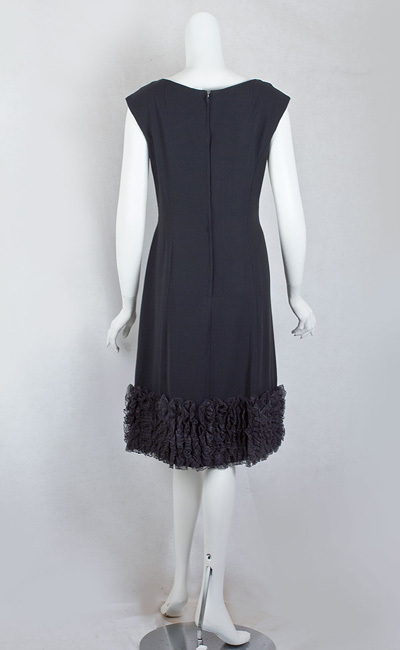 It is totally interlined and expertly cut to skim the shape of the wearer and closes in back with a nylon coil zipper. 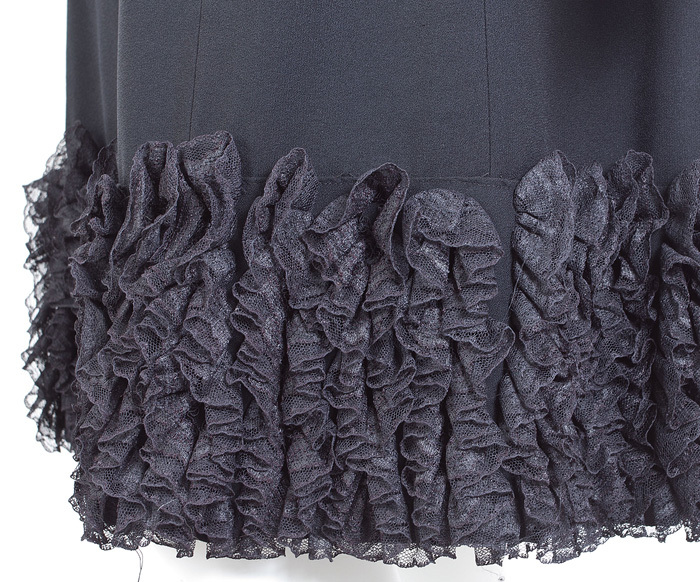 I love the wide hem border of coiled lace ribbon. The dress was expensive when new. 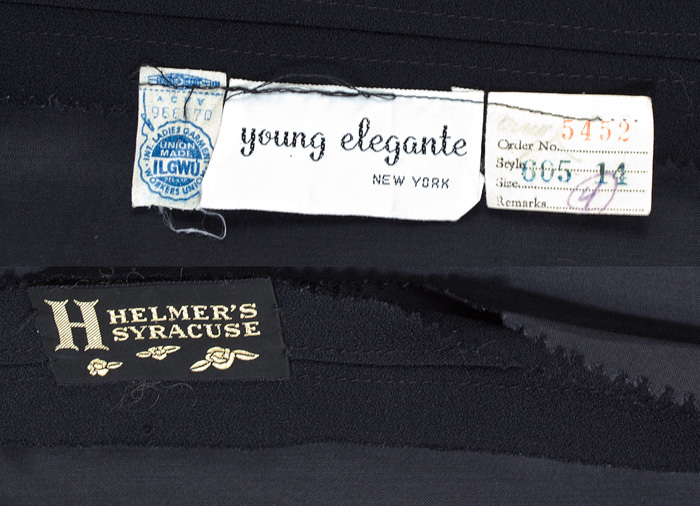 It was purchased in the famed Helmer's in Syracuse, where customers could find the latest in fashion from Paris and New York. The size is marked 14. Vintage sizes run smaller than contemporary sizes. Make sure that you check the measurements. It measures: 38" bust, 32" waist, 40" hip, and 42" from shoulder to hem.